One of the interesting things about these ballots is there are stamps on them. 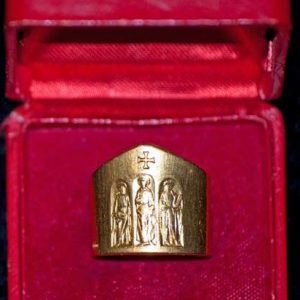 So these bishops that took these out—and I’m assuming they smuggled these out, because I don’t know why they’d be available otherwise—they, then, got stamps from the Vatican post office and put them on the ballots, and the stamps were inked for the last day of the Council. At the Council they were voting on documents, primarily. 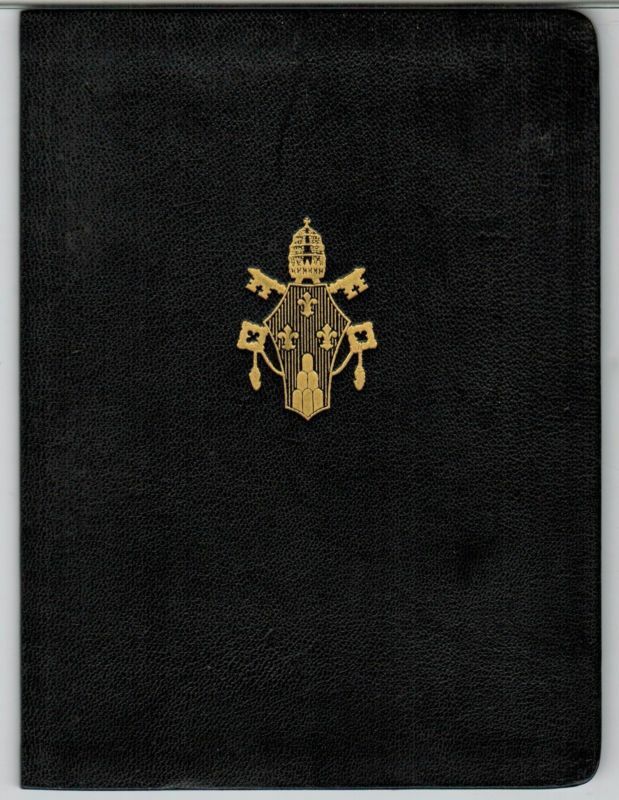 I am not an expert on Vatican II history, but I think that most of the actual voting would have been on certain aspects that were going to be included in the documents, and, then, on the documents in their final form. Various committees were in charge of drafting certain aspects of each document. So of course, not all the bishops present had a hand in a particular document, but they all had an opportunity to speak in regards to a document, whether pro or con, or whether they wanted some other aspect developed. Calling the Second Vatican Council is really what makes John XXIII one of the most consequential individuals in modern Catholic history, and even in world history in many ways, because it caused such a transformation throughout the entire world upon many different cultures. That’s one thing that we look at in his life, and it is often talked about most, that he called the Second Vatican Council. I remember late in 1999 reading a list in some Catholic publication about the top five events of the 20th century. The Second Vatican Council was number one. And so here we have a man who would have probably, if it weren’t for that, gone down in history as a good pope, but not as a consequential one. This man who was pope for under five years, an elderly pope, calls the Council, and because of that, he ushers in the most significant event of the 20th century in the Church. 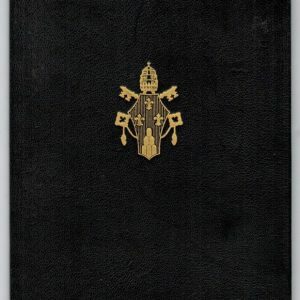 I remember reading that his secretary spoke of the fact that in the first few months of his papacy, they received a tremendous amount of requests and questions and problems, and the Holy Father looked at all those things on his desk and said, “What we need is a council.” And it wasn’t so much for doctrinal purposes, but it recognized a great pastoral need for major pastoral problems. So oftentimes, when we speak of John XXIII, the main thing we think of is the Council. But there was so much more to him than that. It’s also important to remember that it was the only Council in all of Church history that was not called because of a doctrinal crisis. 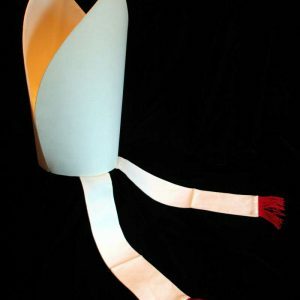 Chapter 9 of Council Regulations for the Second Vatican Council indicated the methods which governed ballots: placet was a yes vote; non placet, a no vote. The votes were cast in public sessions in the presence of the Holy Father. A placet juxta modum vote, meaning yes, but with changes, had to be explained in writing with reasons for the reservations. The artifact presented here is a punch-card ballot showing the holes for mechanical tabulation. Ballots were cast with these special cards, which were examined by a mechanical system unless the president of the assembly decided otherwise, case by case. A two-thirds majority in the ballots cast at public sessions was necessary unless special provisions to the contrary were decided by the Holy Father. This is a very rare item. 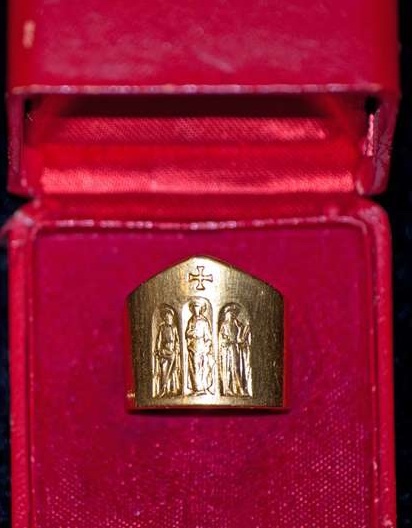 It is a ballot for the document, Sacro Sanctum Concilium. It shows the bishop’s name who was voting on the right-hand side of the ballot. His name is Albareda Anselmo. The date is also included, December 4th, 1963. 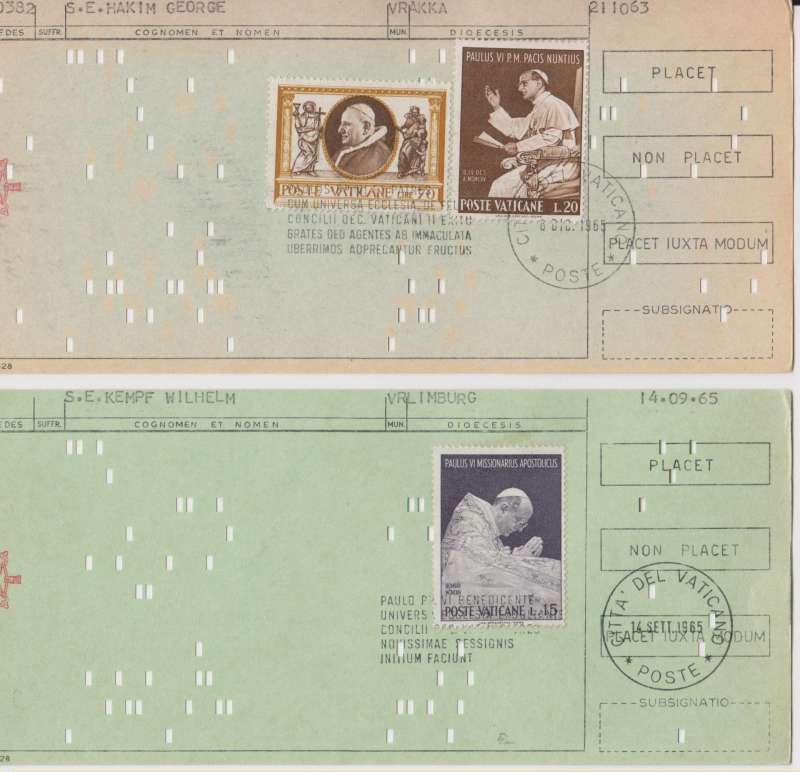 There are four different stamps on the ballot that have also been ink-stamped, commemorating the last day of the Council, December 8th, 1965. 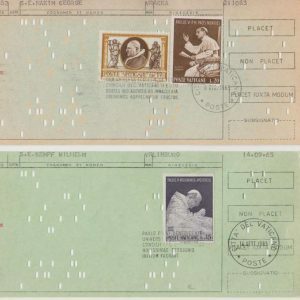 The stamps, then, were not added originally, but probably by the bishop to show both that he was there and also that this was the last day of the Council. 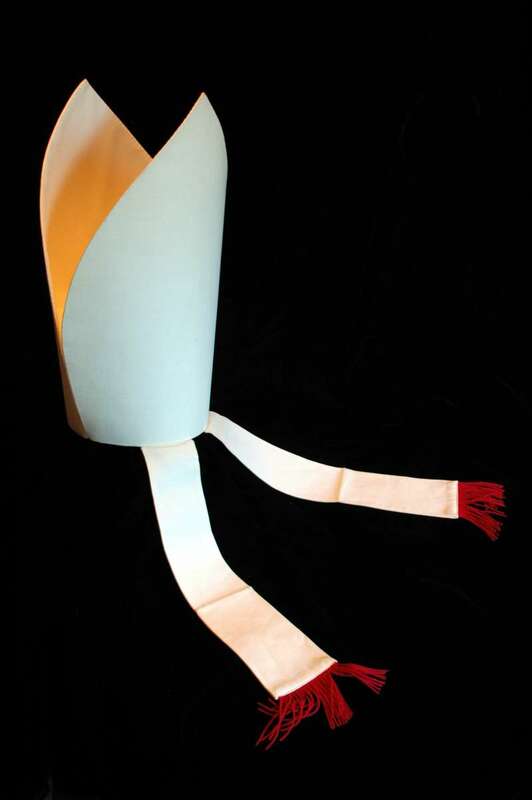 Papal Artifacts honors the life and work of this Pope. Pope St. Paul VI, pray for us!